Atlassian is saying goodbye to its communication platform Stride. It has put a lot of effort in building up Stride over the past year, but is now entering into a strategic partnership with Slack. As part of the partnership, both companies will focus on building better integrations and more completely define the modern workplace experience. 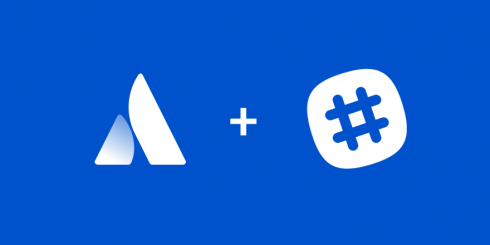 Atlassian will deepen existing integrations between Slack and Jira Cloud, Bitbucket Cloud, and Trello, as well as creating new integrations with other products. Slack is acquiring the IP for both Stride and Hipchat, which Atlassian will be discontinuing along with Hipchat Server and Hipchat Data Center. Atlassian will work with Slack to provide a migration path for those products for customers. According to the company, existing Stride groups can still add users and use Stride and Hipchat cloud products through Feb. 15, 2019. In addition, existing Hipchat Data Center and Hipchat Server customers will be supported up to the end of their license period. “Even with this change, we are not abandoning our original vision. We believe that this partnership is the best way to advance our mission to unleash the potential of every team. And it will allow us to improve our focus in other areas, including expanding our offerings for technical and IT teams,” Joff Redfern, VP of Product Management at Atlassian, wrote in a post.